Suzanne Kool, MD, is a vascular surgeon at MedStar Heart and Vascular Institute with office hours at MedStar Union Memorial Hospital, MedStar Good Samaritan Hospital, and MedStar Harbor Hospital. Dr. Kool specializes in the diagnosis and treatment of arterial and venous disease. This includes aortic aneurysms and dissections, carotid artery disease, peripheral vascular disease, limb salvage, and venous insufficiency. As a vascular surgeon, she uses medical treatments, endovascular or minimally invasive techniques, as well as open surgical techniques to manage and treat diseases of the vascular system. Dr. Kool received her medical degree from the University of Virginia Medical School. She then completed a general surgery residency at the University of Maryland Medical Center, where she also completed an NIH-funded research fellowship in their Center for Vascular and Inflammatory Disease. Finally, she did a fellowship in vascular surgery at Ohio State University Wexner Medical Center before joining MedStar. Dr. Kool has published and presented nationally on vascular diseases. 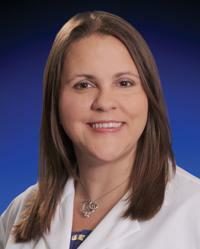 “My goal as a healthcare provider is to help choose the best treatment option for my patients. This involves collaborating with my patients by discussing and taking into account their treatment goals and overall goals for quality of life. I hope to give my patients as much information as they want or need in order for them to understand their diagnosis and treatment options, and to be able to make an informed decision.